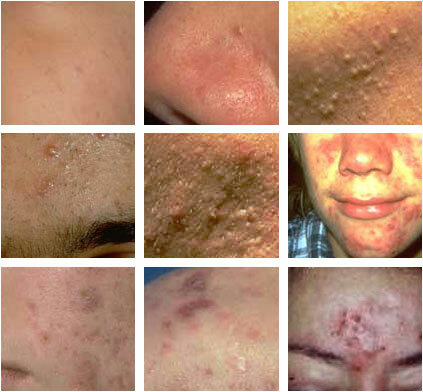 What is Acne and how Acne Treatment can help you? Skin conditions can affect people of all ages and on any part of their body, but the condition that affects more people than any is acne. 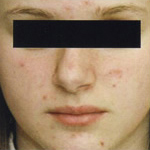 Acne, a condition that has disrupted the lives of teenagers for decades, affects more than 85 percent of adolescents and nearly half of all adults. Thankfully, today’s teens have options to clear the condition that weren’t available to generations past. The Laser Essential & Skin Care clinic in Toronto offers various treatment options to clear embarrassing acne, whether on the face, shoulders, chest, back or arms and legs. 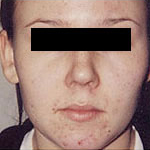 Acne is a condition that results from the obstruction of pores, and the subsequent bacterial colonization and inflammation of the sebaceous follicles. High amounts of bacteria – a common occurrence in people going through puberty – prompt the sebaceous glands to produce excess oil. This oil clogs the skin’s pores, trapping bacteria that colonize and form “zits.” In extreme cases, the skin is inflamed, reddened and even damaged to leave lifelong scars. Laser Essential & Skin Care uses the safest and most innovative technology customized for each client’s needs. For our acne removal treatments we use Long pulsed Nd:YAG Laser & Long pulsed Alexandrite Laser and intense pulsed light (IPL) technologies specifically designed to treat several forms of severe acne for a variety of skin types. The laser emits a wavelength that penetrates through the skin, the heating of the sebaceous glands causes a mild thermal exertion that changes the activity and function of the glands, leading to prolonged reduction in acne breakouts. 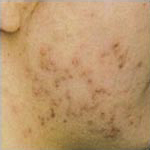 In addition to reducing the activity of the gland, the laser kills the acne causing bacteria under the skin. It has proven to be extremely effective in rapidly bringing the inflammatory lesions of acne under control, often irresponsive to other acne therapies. In addition to the anti-inflammatory action, the laser inactivates the acne forming bacteria. Furthermore, since it targets the blood vessels, it effectively reduces the appearance of chronic red blemishes and red acne scars. 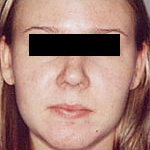 Relatively new techniques are now available to rid people of frustrating and embarrassing acne conditions. Three treatments are available at the Laser Essential & Skin Care clinic in Toronto, including Omnilux Light Therapy, Microdermabrasion, and OXYjet. 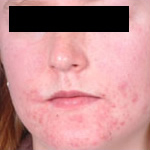 See below for details of which procedure is right to help clear your acne condition. 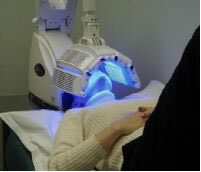 Omnilux Light Therapy is a new, FDA-approved way to treat acne scars and pigmentation using a safe light that is ultraviolet-free and radiation-free. It is used to effectively treat acne on both teens and adults, as well as to remove precancerous lesions and repair sun-damaged skin. 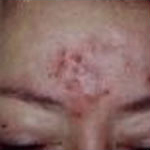 Omnilux treatments are non-invasive, quick and painless, leaving patients with no downtime and few, if any, side-effects. Omnilux therapy is available in two forms: Omnilux Blue and Omnilux Red. Omnilux Blue is used to destroy acne-causing bacteria, while Omnilux Red is used for skin rejuvenation to heal scars and pigmentation associated with acne. 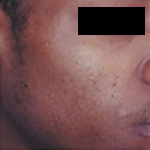 Both types of Omnilux are available to people of all ages, and offer comfortable, fast treatments that can help clear acne is as few as eight 20-minute sessions. 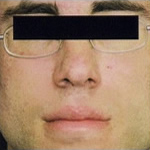 A standard treatment session of Omnilux Blue lasts about 20 minutes, and requires only that patients lie comfortably on a bed wearing protective eyewear. Most patients report feeling a slight warming sensation during the treatment. 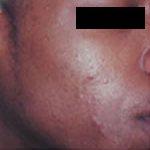 People suffering from moderate cases of acne can expect to see noticeable results in as few as eight sessions, which are usually administered twice a week for four weeks. 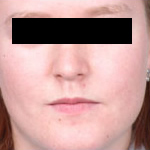 Often, patients see a marked improvement after only one or two sessions. Many acne sufferers have turned to microdermabrasion to help deep-clean the skin, and thus eliminate the acne condition that ensues. Microdermabrasion, a procedure used often by people who don’t suffer from acne but are simply seeking clearer, healthier-looking skin, uses tiny crystals and/or diamond tips (we have both types) to clean the skin of dead cells that build up on its surface. Microdermabrasion is virtually painless, with no downtime and no side-effects. In cases of people who suffer from acne, clearing away the layer of dead skin helps eliminate the bacteria trapped beneath. The microdermabrasion procedure is much like a thorough face-cleansing, complete with an exfoliation massage that makes it a popular service at boutique salons and spas. When it’s completed, the crystals are washed from the skin and patients are typically free to resume their normal everyday activities without interruption. 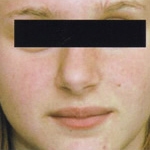 Microdermabrasion causes no scarring, bleeding or blistering. In fact, most patients report no side-effects, although skin tightness is common and patients should be cautious of sun exposure following a treatment. 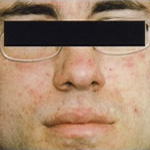 Typically, four to six sessions will leave acne-sufferers with noticeably clearer and healthier-looking skin. OXYGEN skin rejuvenation treatment combines highly concentrated cleansers with a state-of-the-art oxygen-infusing machine to eradicate acne and acne scars and rejuvenate skin damaged by a severe acne condition. It not only helps get rid of unwanted acne and acne scars, but it helps the skin heal by prompting cell renewal that leaves patients with smoother, clearer skin. The procedure involves a thorough cleaning and light exfoliation of the skin, allowing the beneficial skin care products to penetrate deep into the skin’s pores. After the cleansing product is applied, the Oxygen skin rejuvenation treatment infuses bursts of oxygen and other nutrients deep into the skin to promote healing. Some patients experience slight redness following a treatment, but it typically disappears within hours. Again, patients are cautioned to avoid over-exposure to sunlight after a session. 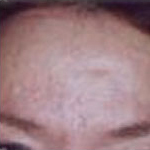 Typically, patients realize visible improvements after one four to six Oxygen skin rejuvenation treatments. How much does Acne treatment cost? Prices vary between Laser acne treatment, Omnilux Light Therapy, Microdermabrasion and Oxygen skin rejuvenation treatments. Your Laser Essential & Skin Care specialist will help you determine which treatment is best-suited for you. The Laser Essential & Skin Care clinic of Toronto always strives to offer the lowest prices of any acne treatment clinic in Toronto, and offers financing plans to make procedures affordable to all clients. Schedule a free consultation with Laser Essential & Skin Care clinic in Toronto and learn more about how affordable and competitive our acne treatment pricing plans are.